Art in Hand™ is an arts publisher who was looking to bring their City Project Decks of cards to the city of Washington, DC. They selected 54 artists who are currently living and working in the Washington, DC area to participate in their DC City Project Deck, which has just been published. The Washington, DC Project is a deck of fully functional playing cards where each individual card in the deck (plus 2 jokers) is rendered in the typical style of the contributing artist. The project creates widespread exposure for participating artists while producing a unique, entertaining, functional and green product for the city of Washington, DC. Check out the project and all the cards and associated artwork here. The cards are available at many stores locally and also at most local museum stores, or you can order them online here. 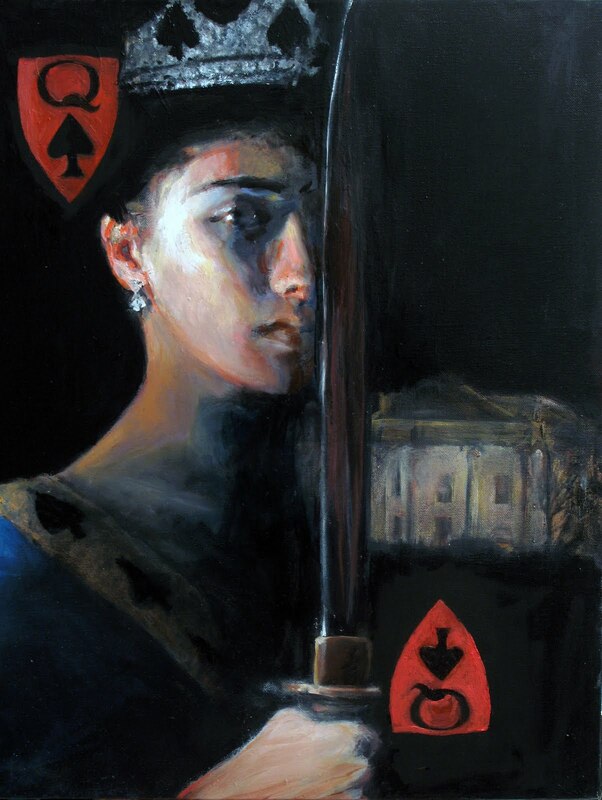 Judith Peck gets a winning hand with her gorgeous Queen of Spades. You can buy Judith's painting here. On Thursday, Cuban pro-democracy activist Caridad Caballero was arrested by the Castro regime's Workers Paradise's police. She has not been heard from since then and her whereabouts remain unknown. Caballero, a member of the Ladies in White support group ("Damas de Apoyo"), was arrested for participating in a peaceful protest against the Castro regime. Her family has been frantically searching for her in all known police and state security operation centers, but they refuse to reveal any information about her well-being or whereabouts. As you can see from the video clip below of a previous arrest (in March 2011) of Caballero, the Castro regime is not shy about using repressive force against her and her family.